Carbon is a fundamental part of all known life, and an essential part of our own DNA, lipids and cells. It’s fitting, then, since we’re focused on digitizing, analyzing and understanding life, that our name reflect its essential component. Fitting too that we are led by the one individual who has done more to scale the application of genetics around the world: Jun Wang. 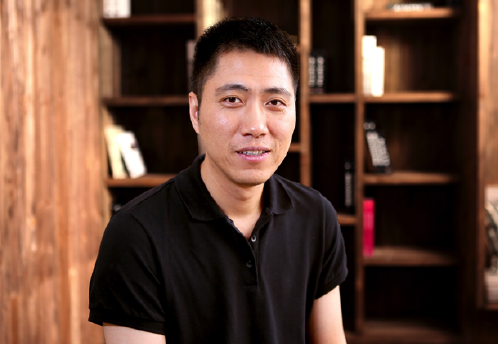 Jun was trained in artificial intelligence before he co-founded Beijing Genomics Institute (BGI) in 1999. As CEO he built BGI into a premier global genome sequencing center. Jun is also credited with sequencing the genome of the first Asian person, the rice plant, SARS, the giant panda, silkworms, pigs, chickens, goats and the human gut microbiome. And he is a significant contributor to the Human Genome Project and to the rice genome sequencing initiative. As one of the world’s leading scientists, Jun could have stayed in genomics, and remained at the top of a science he helped to commercialize and consumerize. But in 2015, he founded iCarbonX to create a future in which people can drive their own health and defeat disease with advanced data and AI. Now, Jun has assembled the best set of partners to operationalize his vision. Tencent uses technology to enrich the lives of Internet users. The company’s social products Weixin and QQ link users to a rich digital content catalogue including games, video, music and books. Tencent’s proprietary targeting technology helps advertisers reach out to hundreds of millions of consumers in China. Its infrastructure services including payment, security, cloud and artificial intelligence create differentiated offerings and support partners’ business growth. Tencent was founded in Shenzhen, China, in 1998. VCANBIO is a top Chinese biotech company, focusing on cell therapy, precision medicine and other related fields. Publicly traded on the Shanghai Stock Exchange, VcanBio was the first company to offer storage of cord blood in China. Additionally, VCANBIO has the largest cord blood banks in the world, with over 300,000 cord blood units. VCANBIO owns several subsidiary biotech companies, including Union Stem Cell & Gene Engineering Co., Ltd., Alliancells Bioscience Co., Ltd., Zhongyuan Union Gene Technology Co., Ltd., Zhongyuan Pharma Co., Ltd., and Shanghai Zhicheng Biological Technology Co., Ltd.
UEC Group Limited, formerly known as United Electronics Co., Ltd., was founded in 2001 and has been listed on the Shenzhen Stock Exchange since 2011. UEC is a leader of information technologies in cloud computing, IoT, big data, AI, bioinformatics, and an enabler of digital transformation in several vertical industries in China. Headquartered in Beijing with three R&D centers, nine branch companies and nine offices nationwide, UEC has built a marketing service network covering the whole of China. Jun Wang from iCarbonX listed in the Top 100 AI Leaders in Drug Discovery and Advanced Healthcare report published by Deep Knowledge Ventures. German Chancellor Angela Merkel visited iCarbonX. Jun Wang and Yingrui Li named to the 2017 Highly Cited Researchers list by Clarivate Analytics. Jun Wang named to Fast Company’s “100 Most Creative People of 2017” list. Jun Wang presents his vision for digitizing life to the global audience at TED2017. iCarbonX named to Fortune’s magazine’s list of 50 companies leading the AI revolution. iCarbonX ranked one of Fast Company’s 2017 Top 10 most innovative in China. Meum™, the digital health management platform built by iCarbonX and its digital life ecosystem partners, is introduced to the public. iCarbonX announces that seven companies have joined its Digital Life Alliance as part of a nearly $400 million investment, including: SomaLogic, HealthTell, PatientsLikeMe, AOBiome, GALT, Imagu and Robustnique. iCarbonX acquires Imagu Vision Technologies and establishes the iCarbonX-Israel R&D center. iCarbonX completes an investment of 30 million yuan in Shenzhen Prajnasys Corp., Ltd ., extending its network to big data insurance. iCarbonX finishes its Series A financing led by Tencent. The post investment value of iCarbonX reaches $1 billion. iCarbonX (Malta) Limited is formally established. iCarbonX international Limited is formally established in Hong Kong.